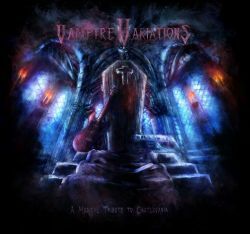 It is with an immense pleasure and honour that I am able to present to you "Vampire Variations: A Musical Tribute to Castlevania". Vampire Variations was created to celebrate the twenty fifth anniversary of Konami's landmark series, Castlevania. Fourteen musicians to arrange the mythic soundtrack of the original NES game that started it all. Four visual artists to recreate the unique atmosphere of the demon's lair known as Castlevania. A wide variety of musical genres going from Rock and Orchestral to Jazz and Electronic music, including various references to other titles from the series. It has been a true honour and a privilege to create, direct and contribute to a such project. I would like to thank everyone who suported this venture, and to all people involved be they musician or visual artist.